The Saybrook at Haddam’s Wellness Team hosted its flu shot clinic this week, which is a vital and convenient service we provide for residents each year. We know age weakens our immune defenses which means older people are most vulnerable to severe flu disease – sometimes even sending them to the intensive care unit. So, to help fight the flu, it makes great sense that we do all we can do to build up our defenses early in the flu season. It is important to note that the Center for Disease Control recommends people 65 years and older get a flu shot and not a nasal spray vaccine. This should be done annually because flu immunity wanes over a year and because viruses (and therefore vaccinations) change each year. It is also important to note that it takes about two weeks for actually immunity from vaccination to set in after so getting vaccinated earlier is better. The CDC recommends seniors receive either a high-dose or adjuvanted flu vaccine (vs. standard-dose seasonal shots). Some mild side effects can include pain, redness or swelling at the injection site, headache, muscle ache and malaise. As always, the Wellness Team at The Saybrook at Haddam recommends everyone take precautions by covering coughs, washing hands often (or using Purel which is located throughout the community) and avoiding people who are sick. 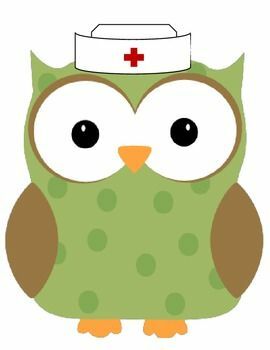 Additionally, the team is available to discuss vaccinations as well as treatment of colds and flu (symptoms could include fever, cough, sore throat, runny or stuffy nose, body aches, headache, chills and fatigue). For seniors, it is crucial they begin treatment of the flu within 48 hours after symptoms start, especially if seniors are experiencing difficulty breathing or shortness of breath. Many families tell us they are comforted that their loved ones have so many health resources available to them at The Saybrook at Haddam. There are many eyes and ears watching carefully for any signs of illness and health monitoring takes place directly and indirectly on a daily basis. When an issue is suspected, families and physicians are contacted and treatment is planned immediately. We hope all families remember that flu vaccination has been shown to reduce flu-related illnesses, hospital visits, and even length of ICU stays. For residents or friends who may have missed our flu shot clinic, we suggest visiting a pharmacy or doctor’s office soon as the cold season is upon us!